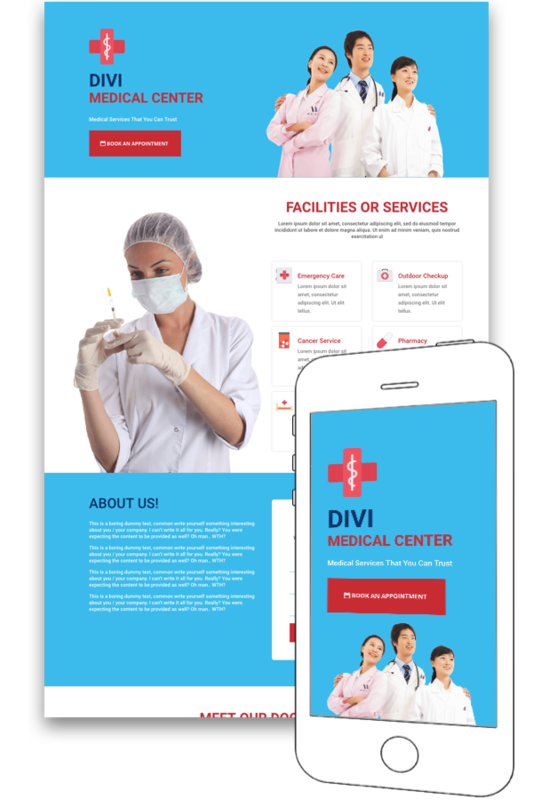 ClinicHQ is a premium layout pack for Divi Theme, Extra Theme or Divi Page builder plugin. It’s designed for medical related niches with professionally designed page templates to get you started with your website quickly. ClinicHQ is purely done using Divi Builder only and there is no other plugin used , very little custom css code is used ( provided with it ). So that means all you see in demos can easily be edited via Divi builder ( Backend or visual / front builder ) and you won’t have to mess with any code to change, update or customize anything on any page. This Layout Pack is available at EMP to buy.